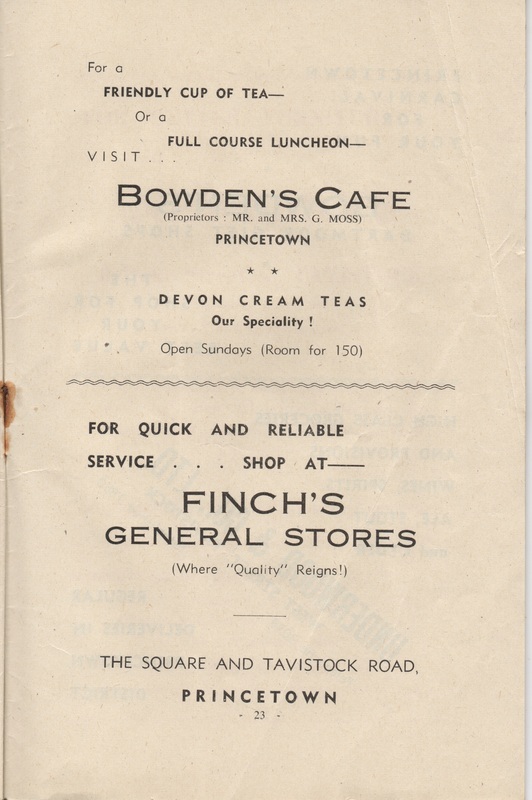 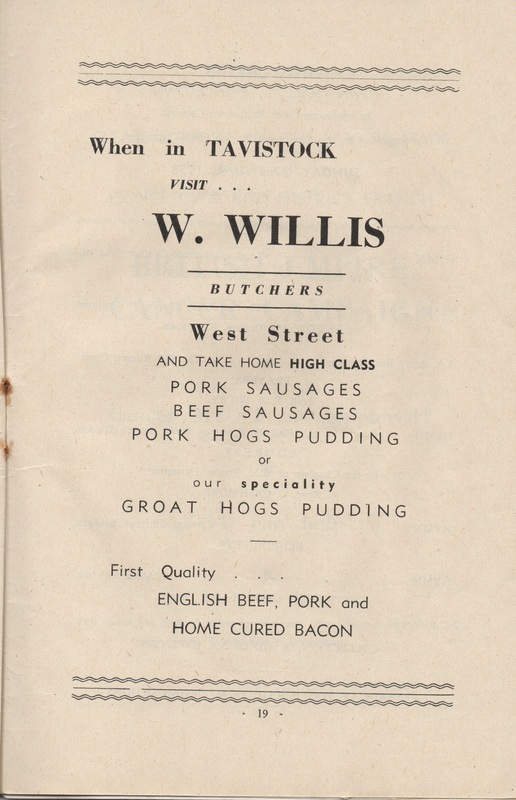 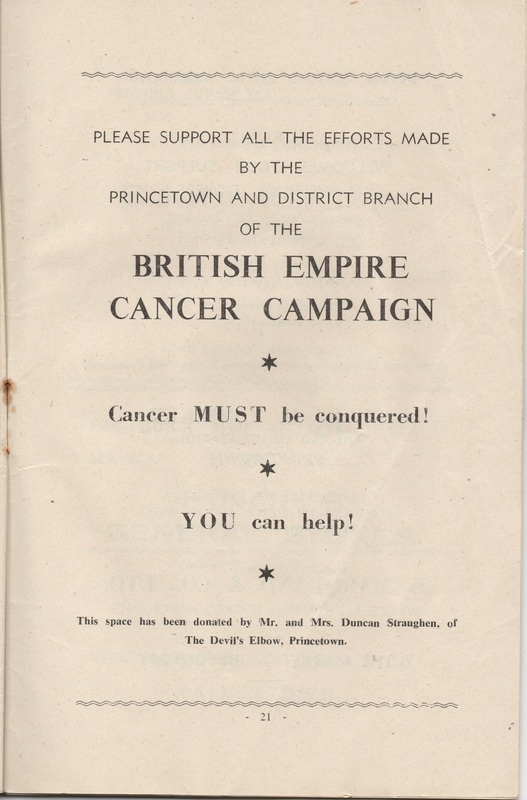 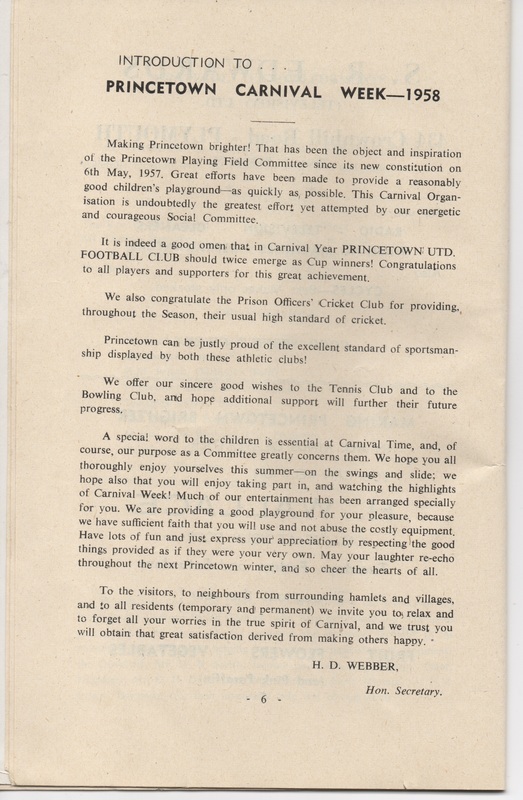 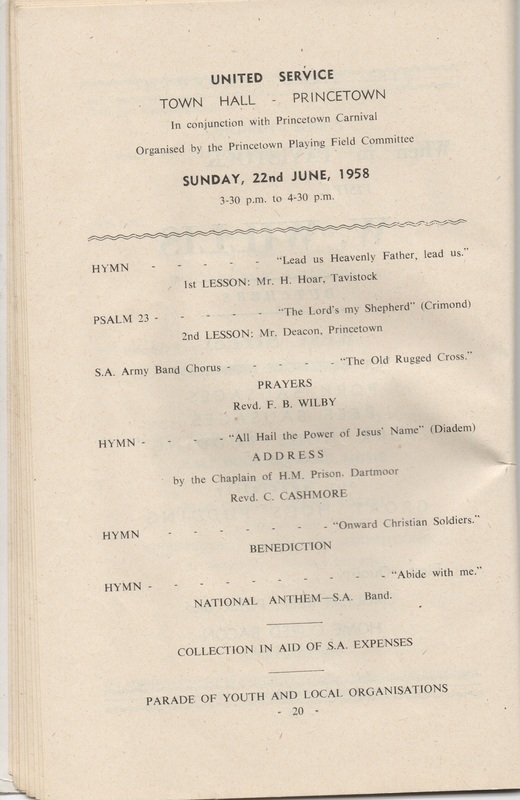 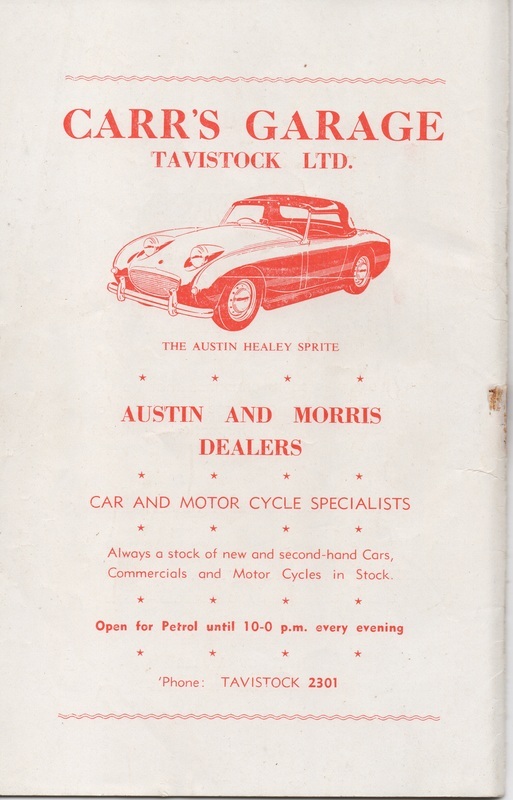 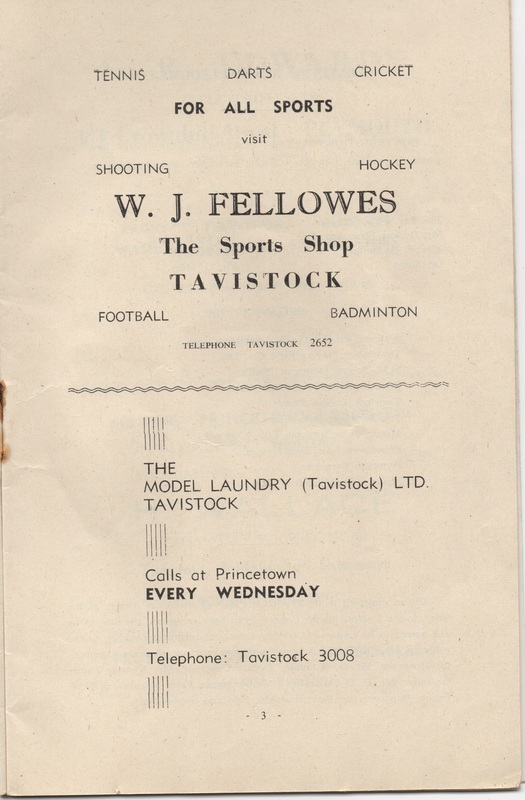 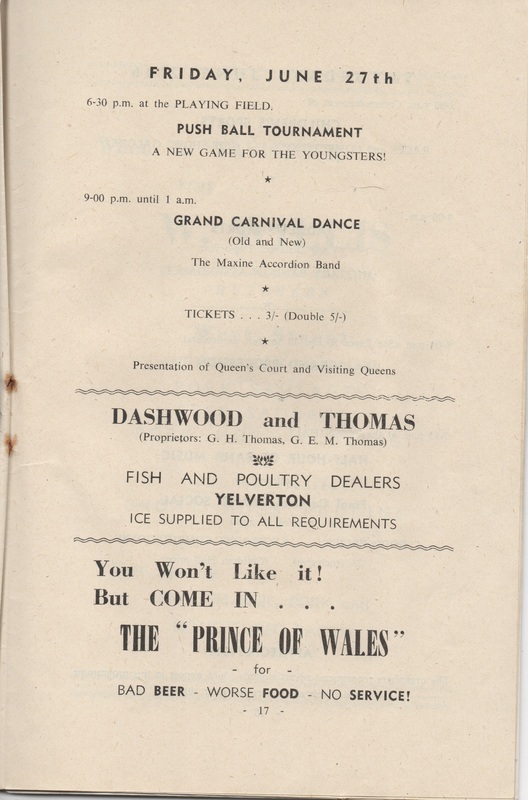 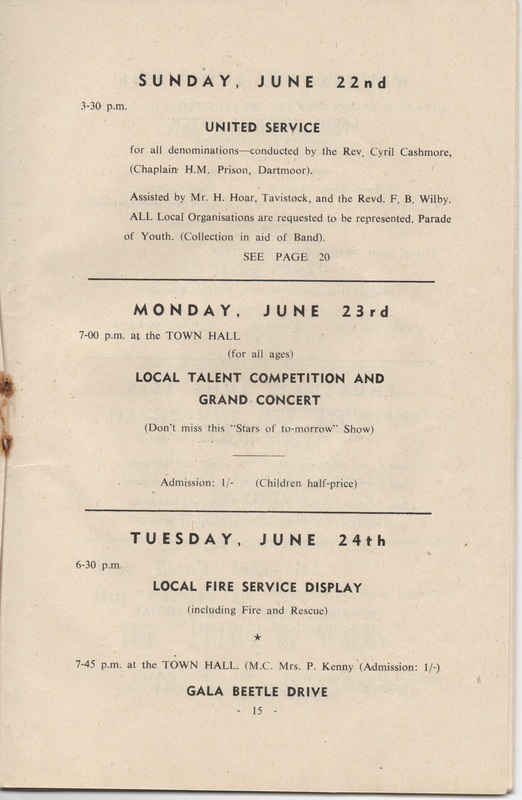 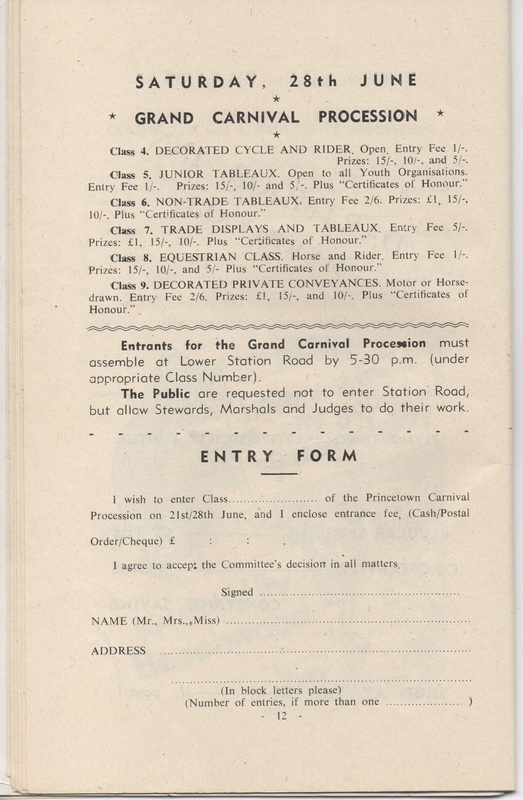 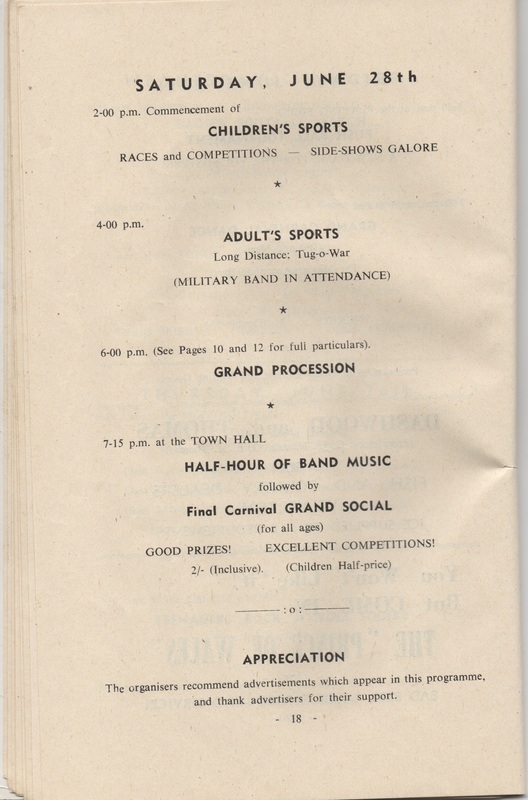 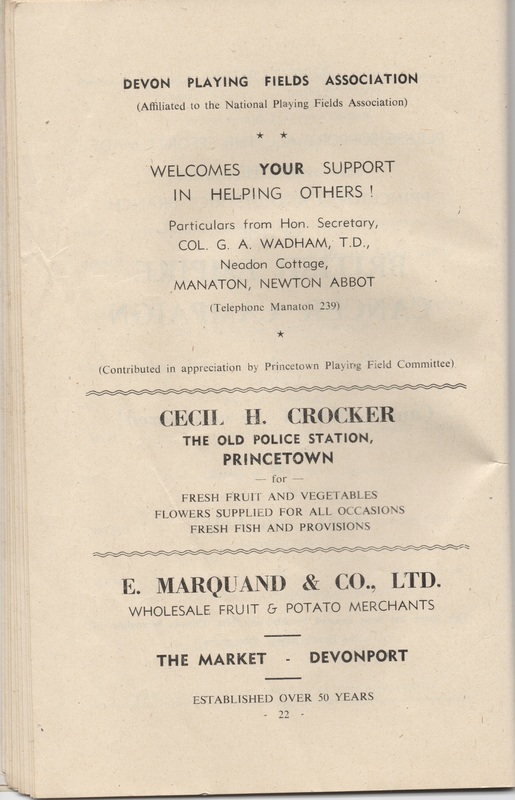 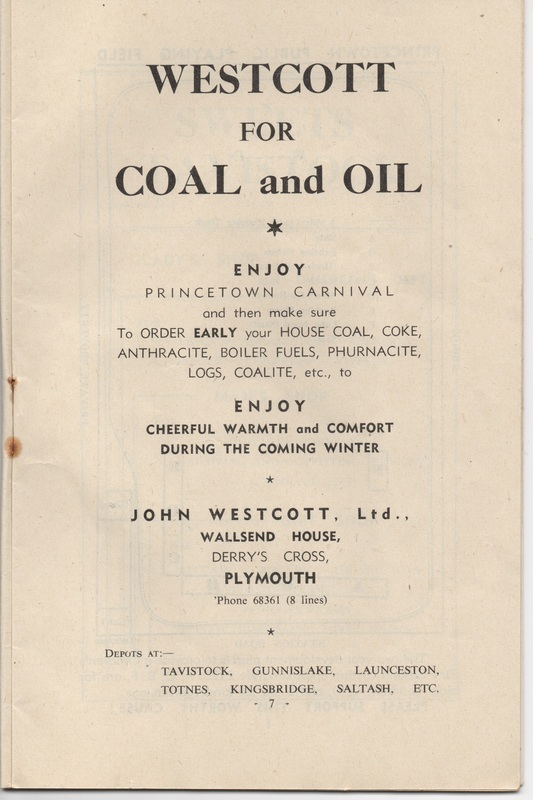 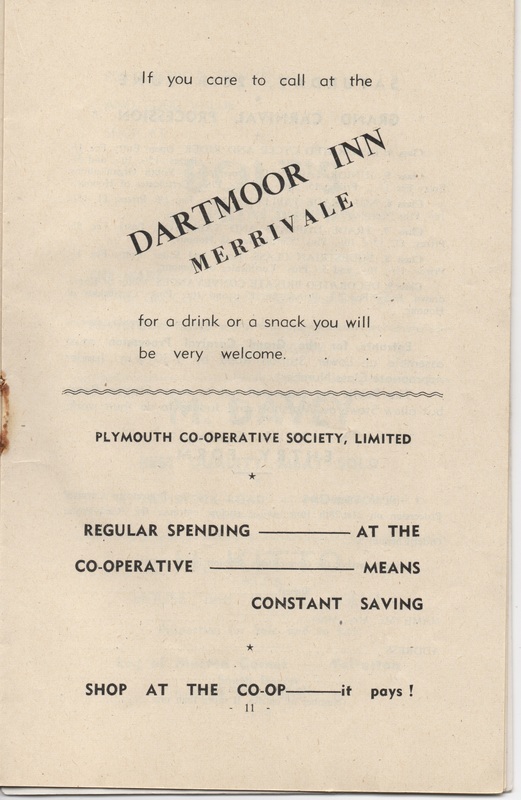 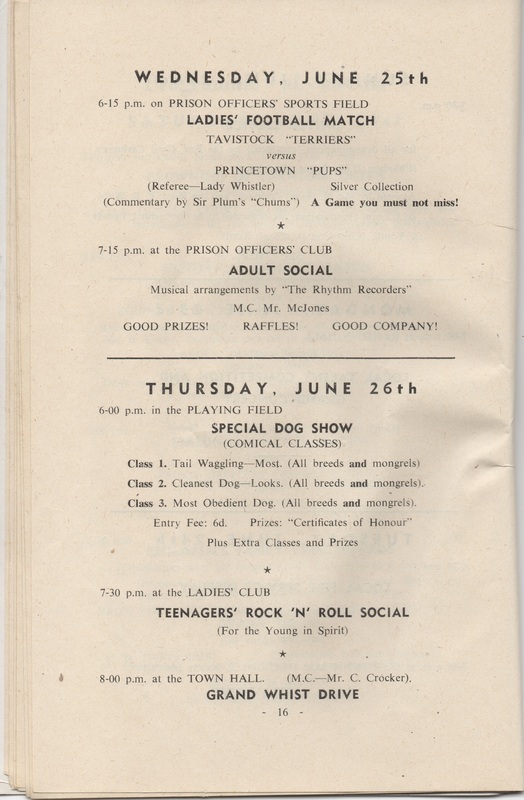 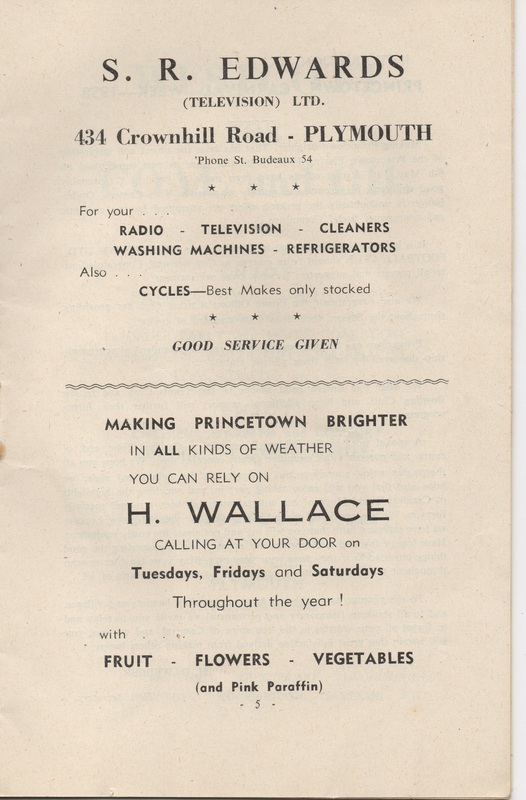 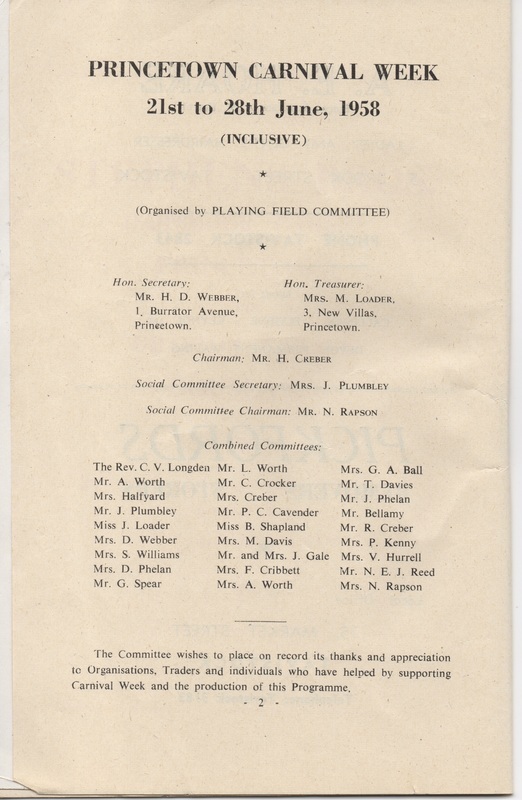 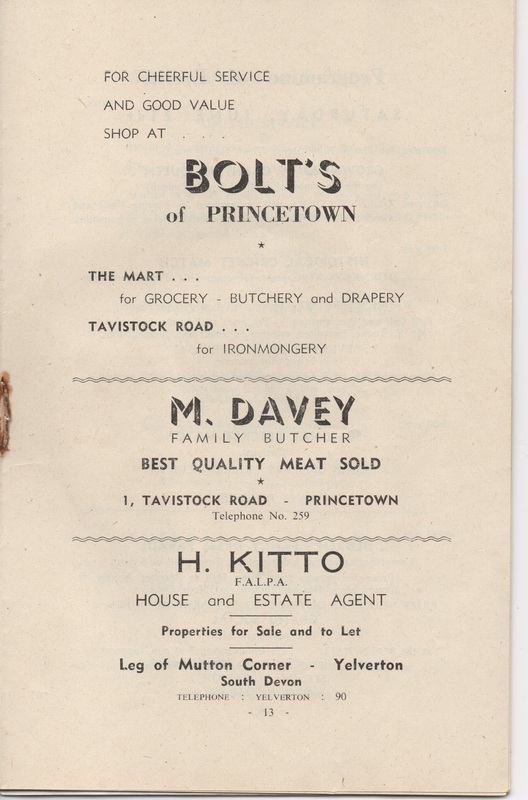 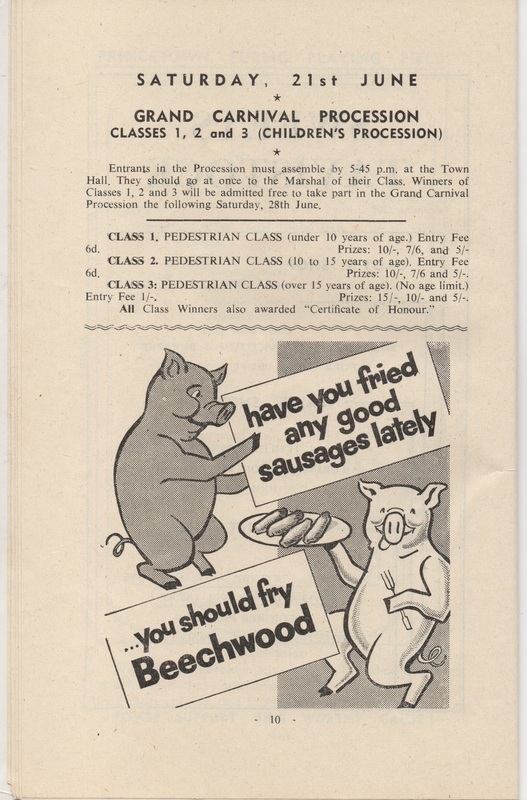 Here are the scanned pages of the programme for the Princetown Carnival of 1958. 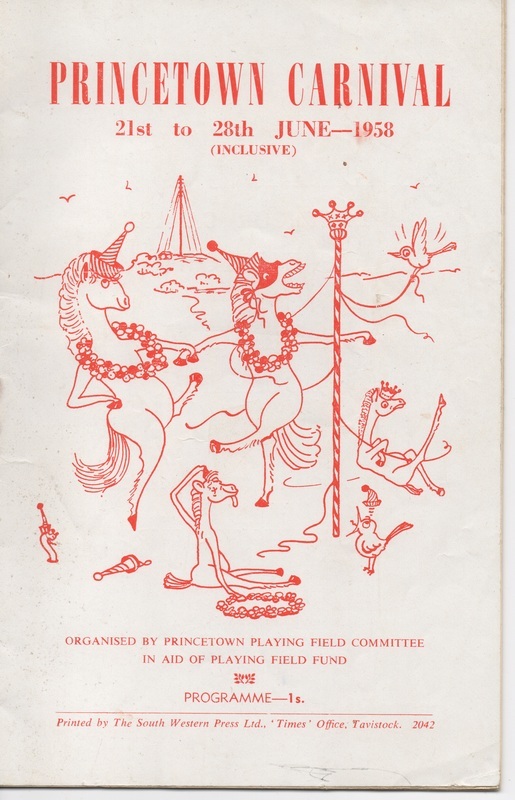 I suppose the theme for the cover was Dartmoor Ponies dancing around a maypole. 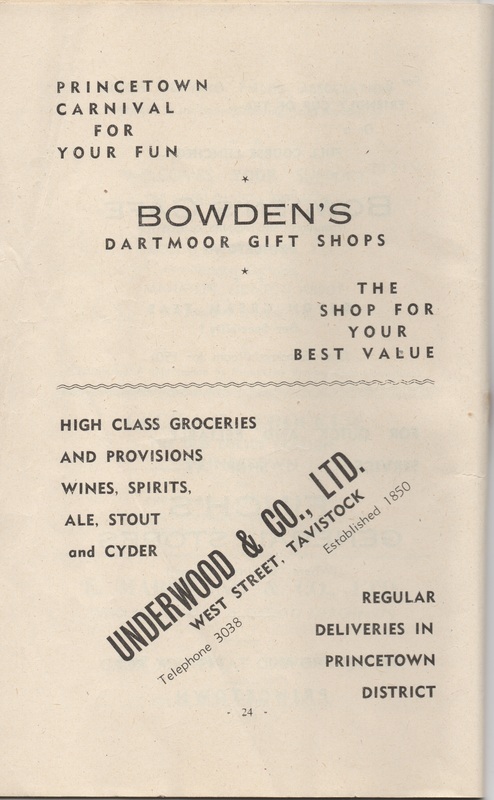 I like the sketch of North Hessary Tor mast at the top of the illustration. 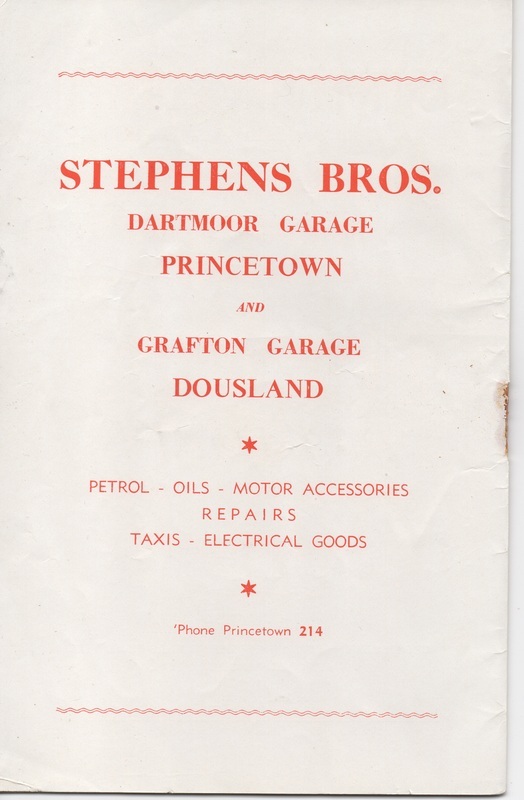 I don't know if anyone has a photograph of the garage that used to exist at Dousland? 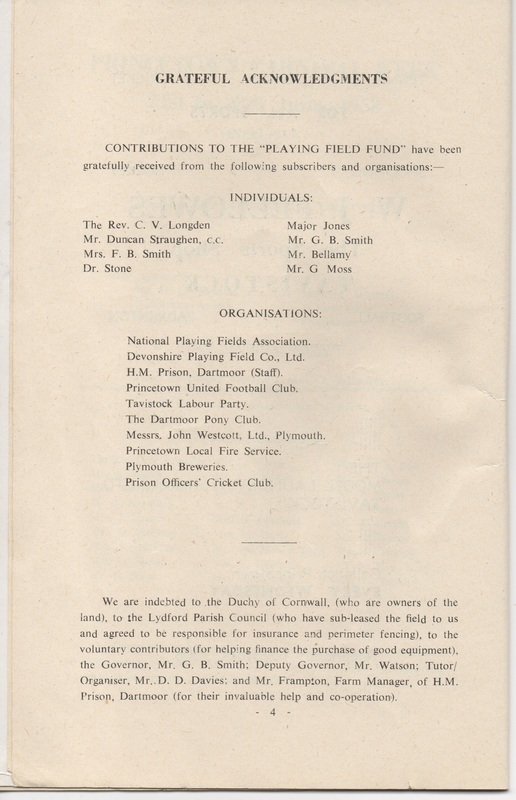 If you do have one please let me know, I'd love to add it to this page. 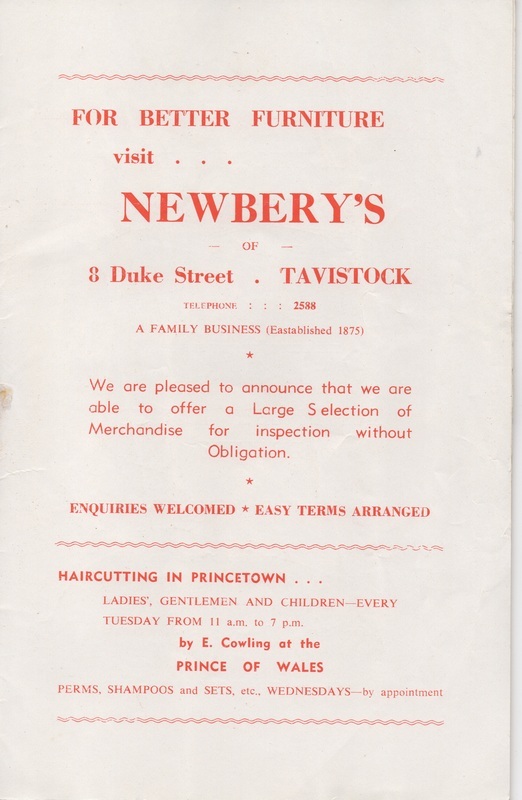 Callinan Hair Products are still in business but don't seem to have a website that can be linked to. 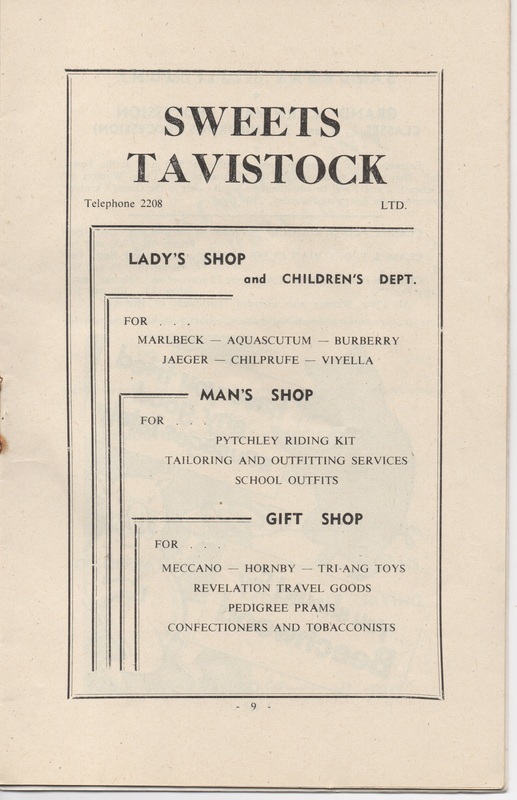 Eugene hair products live on to this day. 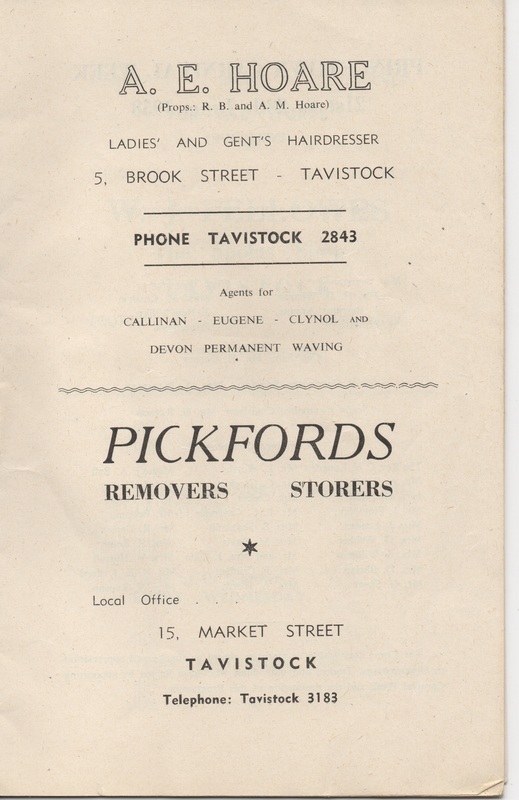 Clynol have also survived, I fear that the details of Devon Permanent Waving have been lost to the ages however. 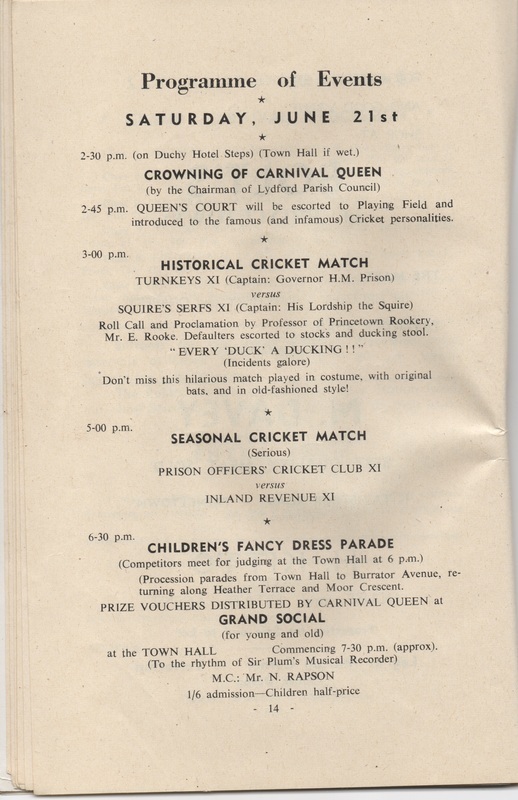 Number 434 Crownhill Road is still a business premise, but now is now the home of Bee Bee Gowns. 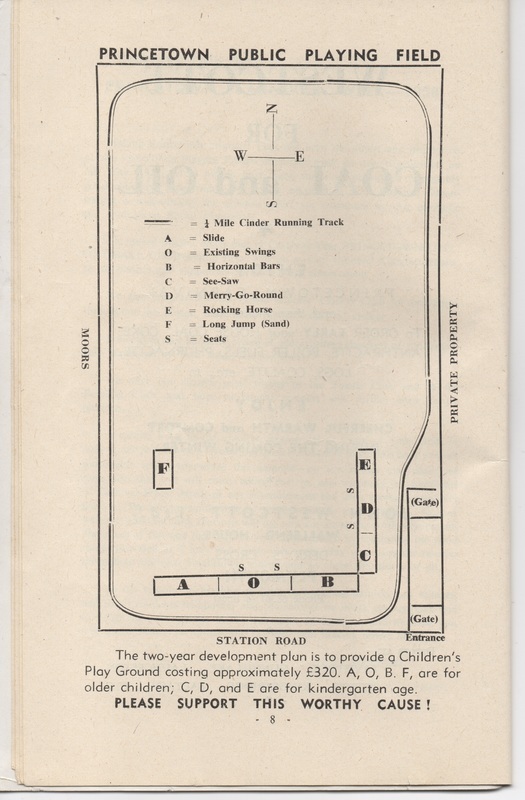 From what I remember of the original playing field, this was all completed apart from the running track.